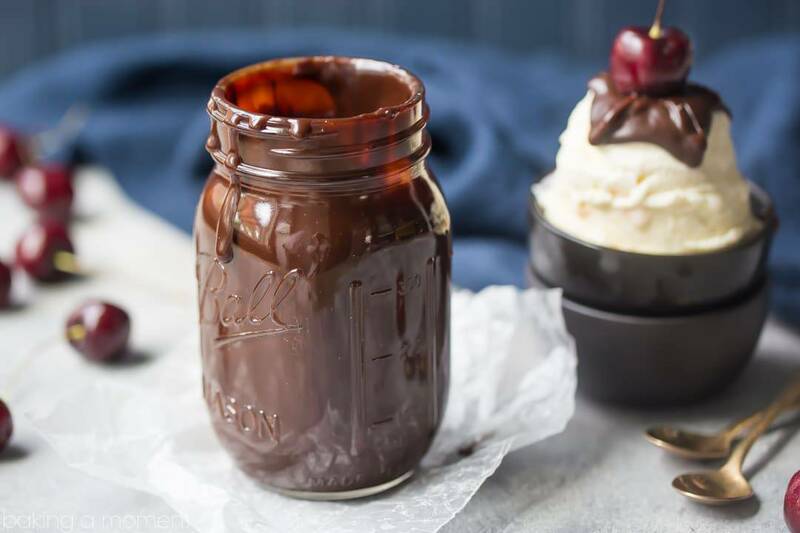 Hot Fudge Sauce- so rich, thick, and velvety! Perfect for sundaes. Nothing compares to a hot fudge sundae! 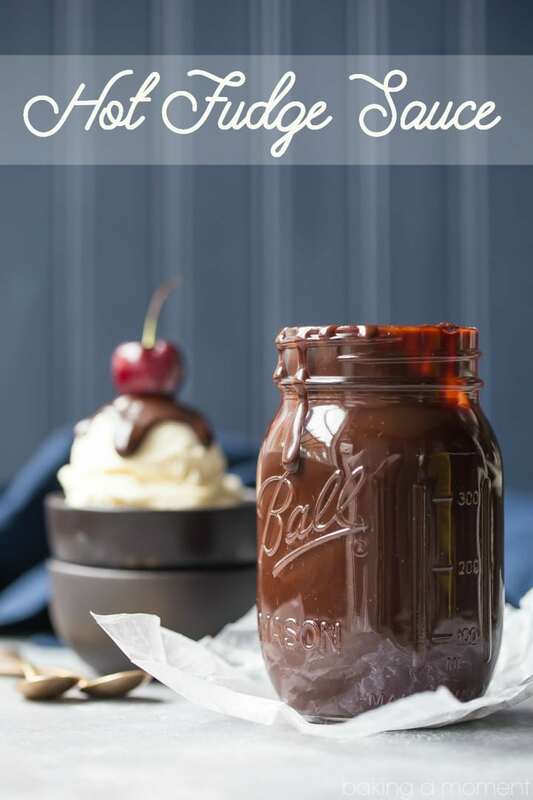 Especially when the hot fudge sauce is homemade and so rich, thick, and velvety. You’ll love this easy recipe! Hi again! It’s me, with another awesome addition to your recipe collection. There is something you should know about me. Confession time: I can be pretty boring when it comes to ordering desserts, especially in the summertime. Sure, I whip up all kinds of unique creations for the website. But on hot summer nights, when we go out for ice cream, I’m nothing but a one-trick pony. I almost always get the same thing, every time. Hot fudge sundae, man. I cannot resist. There is just something about the contrast of cold against hot, sweet against rich, vanilla against chocolate. I’m completely powerless against the charms of a hot fudge sundae. So when I posted that amazing no-churn vanilla ice cream last week? I had an ulterior motive all along. It was really all about the hot fudge sauce. Can you blame me? Just look at how well they go together. These two were meant to be! As you can see in the video below, it’s dangerously simple to make. 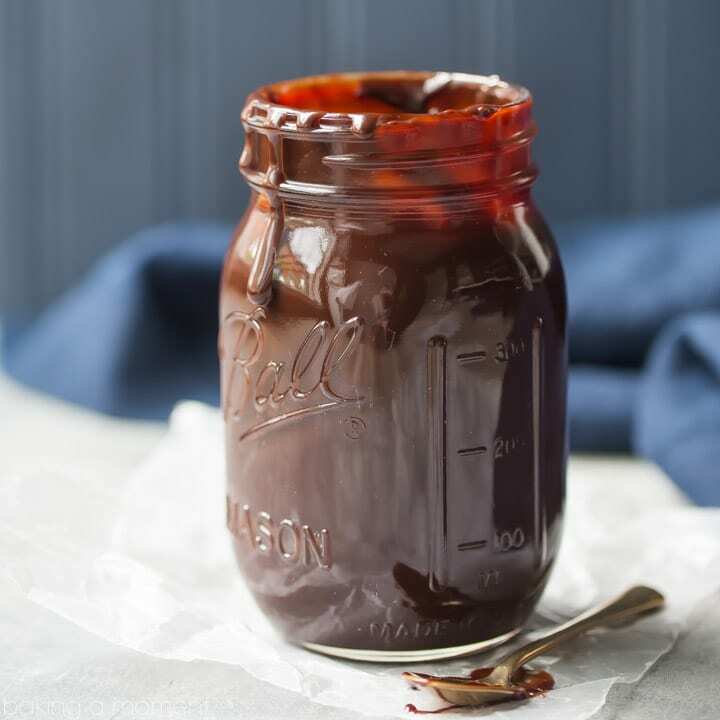 Just a handful of pantry staples, simmered and stirred together, yield a tall jar of magnificently thick, rich hot fudge sauce. It’ll keep for weeks in the fridge, just microwave it, 20 seconds at a time (stirring) to bring it back to velvety-warm life. Although, it’d probably be pretty hard to part with, especially for a hot fudge sundae freak such as myself. More great summer recipes on my “Seasonal Recipes: Spring & Summer” Pinterest board! Place the cream, corn syrup, brown sugar, cocoa, water, salt, and half the chocolate in a small pot. Stirring occasionally, allow the mixture comes to a boil. Turn the heat down to low and simmer for 5 minutes. 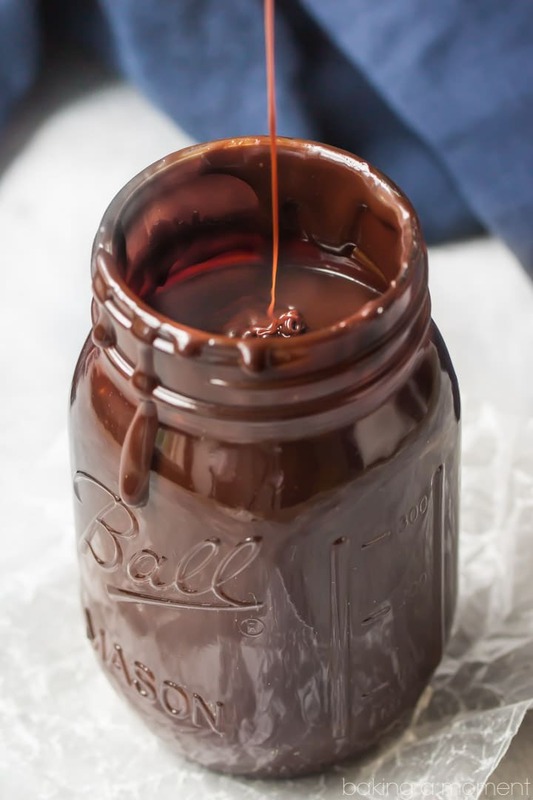 Remove from the heat and whisk in the remaining chocolate, butter, and vanilla extract. Transfer the hot fudge sauce to a mason jar or other heat-safe vessel. These photos are so awesome and looks super tasty! How long does the sauce keep? Would you be good enough to tell me what type of chocolate you use. Also, what brand of cocoa do you use? Hey Connie! I’d be happy to. I’m a Ghirardelli girl all the way. I buy their unsweetened cocoa powder and their semisweet baking bars/chips. Hope you enjoy! Absolutely delicious and super easy to make. Can’t go wrong with this!! Yay! Thanks for the great feedback Amy!